Rockets have been checked in! 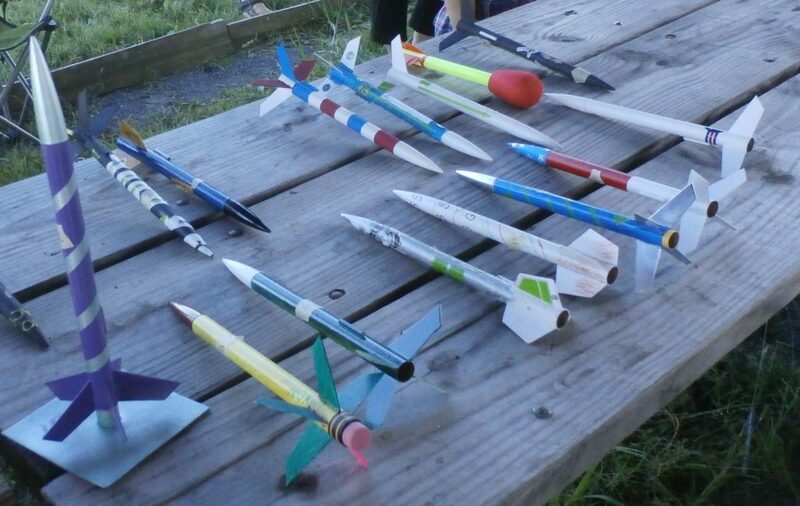 Each cub scout assembles a rocket from a kit and decorates it before the day of the rocket launch. 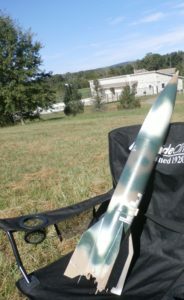 On the day of the launch, the cub scouts check in their rocket so that it can be judged on style. After the judging, it is time to begin launching the rockets! With the help of a boy scout or an adult, the cub scouts install an engine into their own rocket. 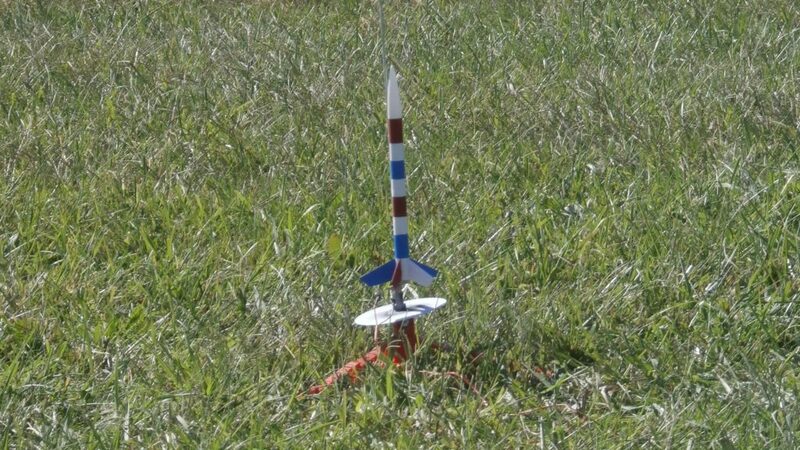 Then every scout takes a turn and places their rocket on the launch pad. The count down begins! When it’s time, the cub scout who has their rocket on the launch pad presses the button to release their rocket! It is so fun to watch the rocket launch into the air and out of sight! 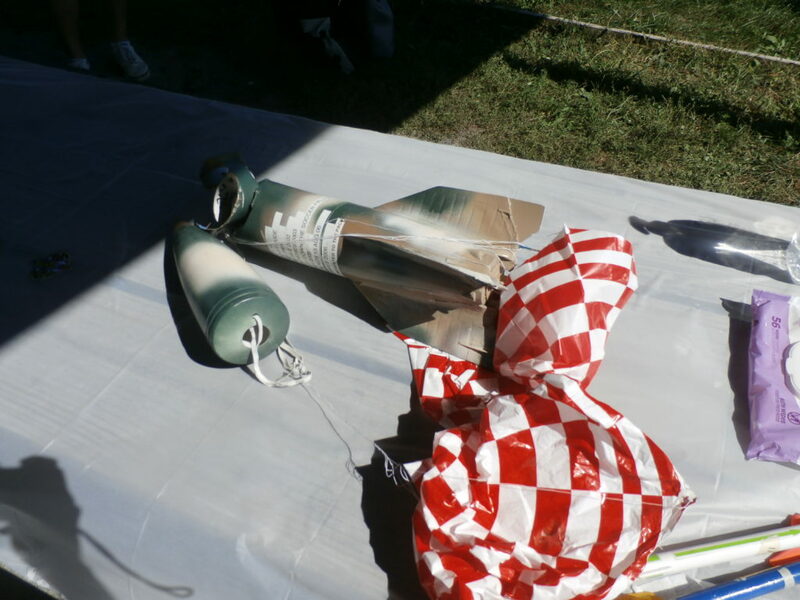 Most of the time the rockets are retrieved and the cub scouts can put another engine in the rocket and launch it again! 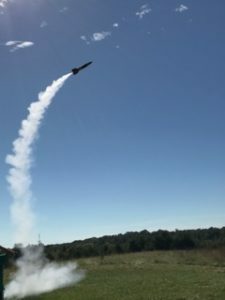 This year our new Lions had the opportunity to launch the pack rocket, The Mighty V2! It has been launched since 2001. There have been 10 successful launches and some not so successful launches. In 2004, it chased a cub scout’s dad down a soccer field! It exploded at the launch in 2006, which caused it to “burst into shame”. In 2015, it was resurrected and presented to the pack. It successfully launched in 2017, but was crushed on impact! We will have to retire it and are planning to have a new one for the next launch! The Mighty V2 in flight! We are so thankful for the help and support of Boy Scout Troop 1344! At the rocket launch, they did a great job helping with the rocket check-ins, judging, and working with the cub scouts when they launched their rockets.